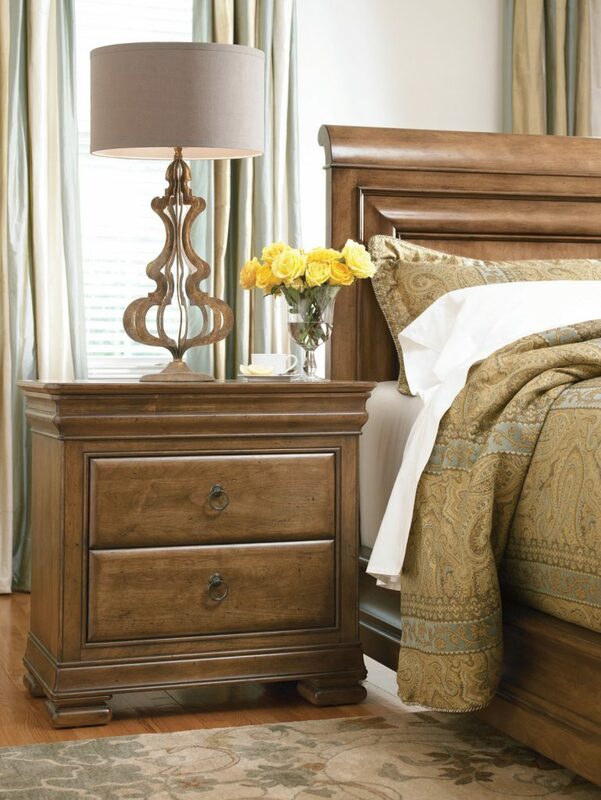 Alder veneers and Alder solids make up this timeless and quaint nightstand. Featuring 2 large drawers and secret top-rail drawer in a cognac finish. Includes a hidden lift-lid with power outlet providing you with a discreet way to charge your modern devices and light the room, without the reminder of tangled cords.